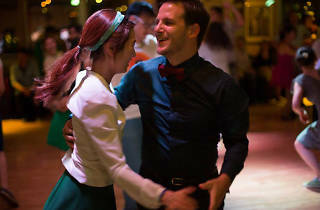 Things get into full swing on Wednesday nights at Grappa’s, where a treasure-trove of dancers twirl the night away. 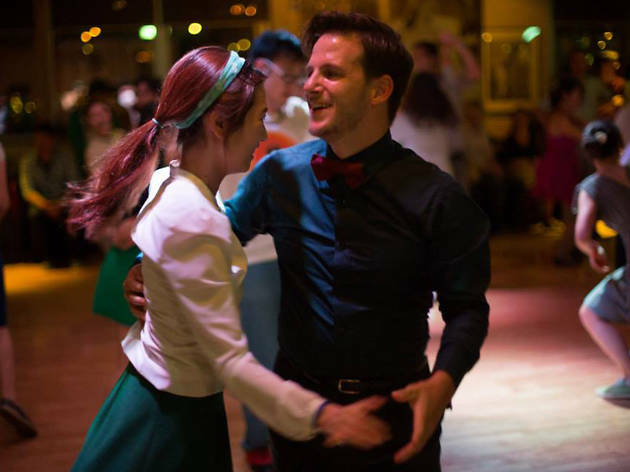 They practice lindy hop, a style that evolved in the Harlem ballrooms of the 1920s to the accompaniment of big band jazz classics. Despite having hopped the Pacific, you’ll discover a similar ambience at Grappa’s, with the Victoria Jazz Band playing the first Wednesday of every month. If you’re really too shy to boogie, there’s always the option of dipping your face into a good bowl of pasta. Every Wednesday at Grappa’s Cellar, Jardine Hse, 1 Connaught Plc, Central. Beginners' class starts at 8.30pm followed by social dancing betweem 9pm-11pm. Also every Monday at Rude Bar (7.30pm-11pm), 79 Wyndham St, Central and Fridays at Danzstage (8-11pm), 2002 20/f, 148 Electric Road, Tin Hau. For more info, visit hongkongswings.com.